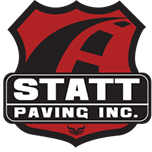 Residential Services - Statt Paving Inc.
Statt paving will work with you to ensure your satisfaction whether it is your personal driveway, a shared private road, or even your community parking lot, we got you covered! We will work with you to satisfy your needs from start to finish. Let Statt help you add value and curb appeal to your home. Our clean and neat crew has all the correct tools and equipment to ensure a quality job is completed. We will work around landscaping and trim to do whatever is necessary for a quality job. We obtain all work permits and requirements required to start and finish job. We can offer insight on what type of driveway application you need if you are not sure. Call us for a consultation! Complimentary estimates for the type of driveway application you desire at your convenience.